Ready to take your network up a notch? Now might be the time to adopt QSFP+ optics, an improvement on the standard that supports up to 10 Gbps data rates, per the SFF-8436. QSFP+ is on the path to replace standard QSFP because it supports the same form factor and size but gives you access to higher bandwidth support to meet the demands of today’s leading technologies and customer requirements. Many networks are moving away from QSFP, but the cost can be concerning. 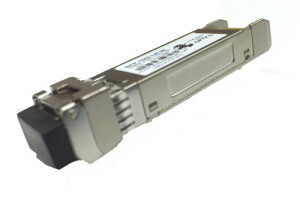 Worldwide Supply can help by offering a full line of new, used and refurbished QSFP+ optics and transceivers that support a variety of fiber distances and data rates. We’ll help you choose what’s right and enhance your capabilities as you grow, and eventually move toward QSFP28’s 100G data rates. Upgrading to QSFP+ will allow you to support 10 Gbps channels carrying 10 Gigabit Ethernet, 10GFC FiberChannel or QDR InfiniBand. When you need it, just configure the transceiver to combine the four channels into a single 40 Gigabit Ethernet link, perfect for data centers that require the higher capacity. If your network needs that capability, allow us to help make your growth more affordable. Worldwide Supply buys used QSFP+ optics from growing companies like yours and then thoroughly tests and repairs everything we purchase. This gives us a steady supply of refurbished QSFP+ optics that are brought up to OEM standards and able to provide your network a boost at an affordable rate. We’ll help you stock up on refurbished QSFP+ optic equipment at up to 80% off those OEM prices.